Labour laws are the laws which deal with the employment and labour related issues. Labour laws deal with the disputes between the employer and employee, regarding wages, pension, insurance of employees etc. In India labour Laws are also known as Industrial Laws or Employment Laws due to the fact that it deals mostly with the employment, wages and termination issues of labours working in industries. The Indian IT industries were exempted from the Industrial Employment Standing Orders Act, 1946. But now after the government had refused to extend the exemption the IT Industries just like the other industries it will have to follow the obligations regarding the conditions prescribed by the government and will have to precisely describe the government regarding those conditions and will have to make sure that the workers and employees are not only informed about it but are also allotted those conditions. The history of labor legislation in India is naturally interwoven with the history of British colonialism. The industrial/labor legislations enacted by the British were primarily intended to protect the interests of the British employers. Considerations of British political economy were naturally paramount in shaping some of these early laws. The earliest Indian statute to regulate the relationship between employer and his workmen was the Trade Dispute Act, 1929 (Act 7 of 1929). Provisions were made in this Act for restraining the rights of strike and lock out but no machinery was provided to take care of disputes. The government wants to club around 40 existing labour laws into four or five acts. For example, all wage-related laws will be made part of the wage code and all industrial relations laws included in the respective code. The wage code and the industrial relations code will club nearly 10 existing laws, including The Factories Act, 1948, and The Industrial Disputes Act, 1947, into just two. 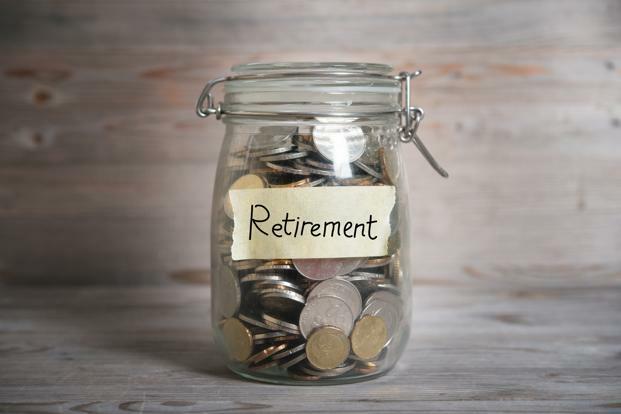 The Employees Provident Fund and Miscellaneous Provisions (Amendment) Bill seeks to position the National Pension System (NPS) as an alternative to Employees’ Provident Fund (EPF). Similarly, the wage code bill seeks to offer health insurance as an alternative to Employees State Insurance Corp.’s health facilities for industrial workers. This Act aids in determining whether or not one’s company would be deemed as an industry and if the workers would qualify as ‘employees’ for the purpose of benefits such as collective bargaining, protecting rights of both employer and employees during strikes and lockouts, and determining modes of dispute settlement between both contracting parties. For instance, Section 18 of the Act envisages settlement arrived in the course of conciliation proceeding before the authority, wherein such settlements not only bind the member of the signatory union but also non-members as well as all the present and future employees of the management orthe settlementis not arrivedat in the course of conciliation proceedings but signed independently by the parties to the settlement binds only such members who are signatory or party to the settlement. This Act applies to all factories, industrial establishments, tramway services, motor transport services and such other establishments. Wherein wages means all remuneration expressed in terms of monetary value and includes that which is paid through award, settlement, overtime wages, wages for holidays or that paid during termination. This would however exclude bonus, payment to schemes such as PF or ESI, Gratuity, House Accommodation, Travelling allowance, etc as per Section 2(vi) of theAct. It is pertinent to note that if the number of employees is less than 1000 in any organization, then wages shall be paid before the seventh day of the following month, if employees are more than 1000 then before the tenth day of the following month. In addition, the maximum deduction can be fifty percent of monthly wages; however a maximum of 75 percent is permissible if deduction is partly made for payment to a cooperative society. Last month the Union government increased the minimum wage of non-agricultural, unskilled workers in the central sphere from Rs.246 to Rs.350 per day. The wage hike move will benefit more than 10 million workers in sectors such as mines, construction, and sanitation. But the labour unions remain unconvinced and went on strike on 2nd September, to protest against labour reforms, disinvestment in profit-making public sector undertakings and contractualization of workforce, and demand a monthly minimum wage of at least Rs.15,000. The decision to hike minimum wage does not mandatorily apply to all such workers across the country. Labour issues are a part of the concurrent list of the Constitution, allowing both the Union and state governments to make labour laws. The Union government has the power to declare a national minimum wage floor, discussions for which have been on for the past couple of years. According to a 2015 research paper published by NITI Aayog, the labour force participation rate (LFPR) in India is around 40%, but for females, it is only 22.5%. The gap in male-female labour force participation is such that the LFPR for rural females of the age group over 15 years is only 35.8%, while for rural males it is more than double at 81.3%. The Union government is making efforts to bridge this gap. The Model Shops and Establishments (Regulation of Employment and Conditions of Service) Bill, 2016, that the Union cabinet approved last month allows women to work night shifts, albeit with proper safety arrangements. The labour ministry has proposed a similar provision in Factories (Amendment) Bill, 2014, which is pending in Parliament. 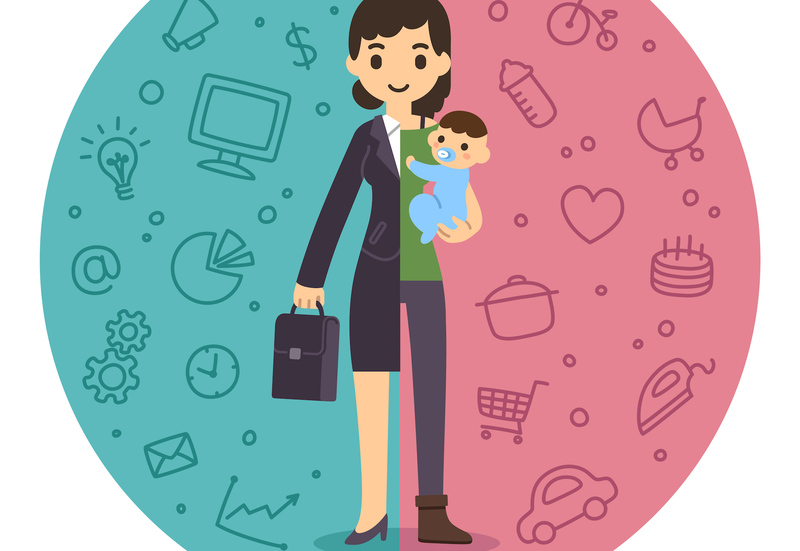 Rajya Sabha also passed the Maternity Benefit Amendment bill 2016 which raises maternity leave from 12 to 26 weeks. The bill also provides 12 weeks leave for commissioning and adopting mothers. A commissioning mother is one who gets a baby via surrogate mothers. This bill also makes it mandatory for an establishment where the number of workers is 50 and above to provide a creche facility . Beverage maker Coca-Cola India Pvt. Ltd, pharmaceuticals firm Dr. Reddy’s Laboratories Ltd and diversified Hinduja Group are among those firms who have recently taken similar moves. Startups like Jabong and Care24 (Aegis Care Advisors Pvt. Ltd) too has announced a similar policy for women workers. The cabinet also gave ex-post facto approval for amendment of the Factories Act, 1948 by introducing the Factories (Amendment) Bill, 2016 in Parliament. The amendments relate to increase in overtime hours from the existing 50 hours per quarter to 100 hours (Section 64) and existing 75 hours per quarter to 125 hours (Section 65) in some urgent situations. This Act is a social security measure provided by establishments with twenty or more persons employed to avail of a retirement benefit if he has served at least five years or provided continuous service of 4 years and 240 days. It is payable at a rate of fifteen days wages for every year completed and in case of seasonal establishments at the rate of seven days wages for each season. However, the benefit is provided to an employee whose salary is below Rs 15,000, but if there exists even a single employee who meets this salary threshold, then the employer is bound to provide for gratuity to the stated employee irrespective of the other employees drawing a higher salary. This Act extends benefits to any factory employing ten or more persons wherein any processing is carried out with the aid of power and also other establishments employing twenty or more persons, thereby allowing the employee who draws wages up to Rs 10,000 to be eligible for a bonus with minimum 30 days worked performed by the employee during the accounting period (Section 8). This Act is specific to provide for protection in case of accident or injury caused to employees during or arising out of the course of their employment. The benefits accrue to every employee irrespective of their category or capacity or form of hire, thereby including contract laborers as well. The compensation depends upon the form of injury caused that is total, partial or an occupational disease. The amount of compensation payable has been laid down under Section 4 of the Act wherein in case of death the amount is either 40 % of the wages multiplied by the relevant factor or Rs 20,000, whichever is more, total disablement out of injury is 50% of the wages multiplied by the relevant factor or Rs 24,000 whichever is more. This relevant factor is as per the schedule provided within the Act specifying the period of work to be considered for the above calculation. In cases of partial disablement, reference must be made to Part II of Schedule I which provides the percentage of compensation which would have been payable in case of permanent total disablement but as a percentage of the loss of earning capacity caused by the injury. This Act has been incorporated as a form of social security insurance which is applicable to factories employing ten or more persons irrespective of whether power is used in the process of manufacturing or not. In addition it also includes theatres, motor transport undertakings and newspaper establishments employing twenty or more persons and private medical and educational institutions employing twenty or more persons in certain states. To be included under this Act the wage limit must be within Rs 15,000 per month. The contribution is made by the employer on behalf of the employee on or before the 21st day of the following month. This Act, similar to the Workmen’s Compensation Act provides benefits in case of injury, accident, maternity, sickness, etc. Every factory or establishment employing twenty or more persons from the date of its setup is covered under this Act including theatres that employ five or more persons. The Act essentially requires the employer to place a certain contribution towards a common fund wherein contribution is from both the employer and employee. The benefits that accrue ranges from retirement, medical care, housing, family obligations, education, financing insurance policy, etc. An employer must keep in mind Forms 5A, 9, 11 and 2 that provide for registration and nomination in case of a withdrawal to be made by an employee. While employees mustbe provided for Forms 19, 1 10 C, 13, 31, 20, 10 D, 5 (IF), 8 which would facilitate withdrawal, change of nominees or other formalities to register for this fund. This act prevents discrimination among workers on the basis of gender. According to this act, employers can’t discriminate among genders in matters of wages, training, transfer, and promotion. The act provides for equal remuneration to both men and women workers for the same work done. The industrial or labour laws of the country are also applicable to the IT Industries, but not all the laws. The IT industries have been exempted from many labour laws which are applicable to other industries. The IT industries try their level best to avoid the obligations which are imposed on them by the law, but no one is above the law and the fundamental rights of a worker or an employee cannot be violated in any case by anyone. Advocate Mahendra Pratap has been practicing and handling cases independently with a result oriented approach, both professionally and ethically and has now acquired excellent professional experience in providing legal consultancy and advisory services. He is an effective communicator and negotiator with excellent interpersonal, problem solving, planning and analytical skills. He practices at Lucknow High Court, District Court Hardoi and Labour Court Lucknow. He is professionally dealing with cases pertaining to Civil Litigation, Criminal Defense, Property/Real Estate and Labour & Sevices related matters. He has experience of 7+ years in the legal profession and providing services. He provides services in fair and transparent manner with result oriented approach. He is very supportive and friendly to his clients both professionally and ethically. He is consistent and precise in identifying strength and weakness of the matter. Advocate Hitesh Soni professionally deals with the cases pertaining to matter of criminal laws, labour and service related matters, NGT matters, CAT matters, Negotiable Instruments Act matters, due deluges matters, food safety matters and drafting and vetting of various agreements and documents. He practices at Rajasthan High Court. Advocate Hitesh enrolled with the Bar Council of Rajasthan in 2016. He is a member of the Rajasthan High Court Lawyers Association. He has an experience of 1+ year in the legal profession and providing services. He provides services in fair and transparent manner with result oriented approach. He is consistent and precise in identifying strength and weakness of the matter. Advocate Aalok practices in Rajasthan High Court, District Courts, Jodhpur and National Green Tribunal, Jodhpur. His expertise lies in in various field of Civil laws, Consumer cases, Cheque Bounce cases, Labour & Service cases. Advocate Aalok enrolled with the Bar Council of Rajasthan in 2005. He is a member of the Rajasthan High Court Bar Association. I am a resident of Hyderabad, worked with a company for 8 months starting from 18 December 2017 to 14 August 2018. They say that I didn't work for 1 year and didn't serve the notice period so they didn't provide me the salary as well as the experience or relieving letter, but this is nowhere mentioned in their terms and conditions or any policies in the appointment letter. Can you please help me with this situation? In the case of sexual harassment at workplace ,what is the time limit for an aggrieved woman to file a complaint? What is the minimum period of service for payment of gratuity- 5 years service or 4 years 240 days.I have completed 4 years 11 months continuous service in an organisation in India and they are denying the gratuity due to not completing 5 years. Am I eligible for gratuity? Would the Act continue to apply to an establishment which has closed its manufacturing activities and does not employ a single employee? Are there any establishments to which the Provident Act is not applicable? Are there any establishments to which the Provident Act is not applicable at all?